Chrysanthemum is a symbol of autumn. 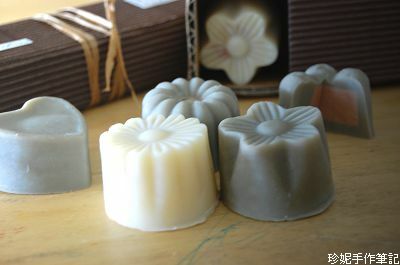 I made this soap from different chrysanthemum and wish it is gentle enough for this coming winter. 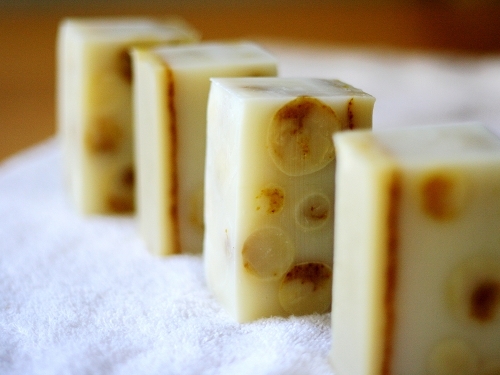 Used immortelle, chamomile and white chrysanthemum infused Olive oil to make this soap. 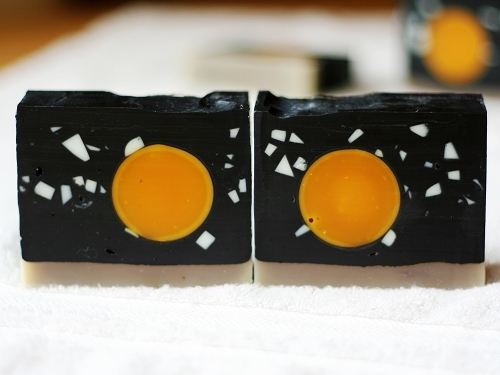 I also cut calendula petal into small pieces to decorate it. 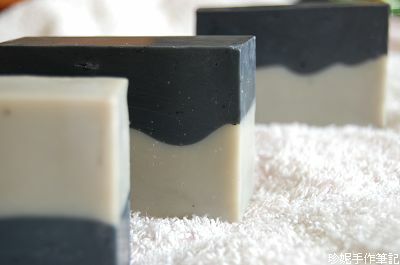 This soap is mainly for winter, so I add 20% of shea butter and hempseed oil to protect our skin in such cold and dry air. The moon cakes in Chinese super market reminds me that the moon festival is around the corner. 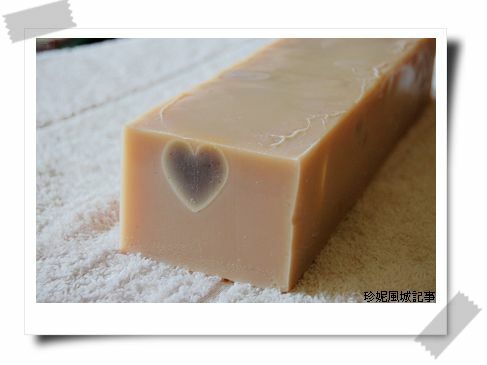 So I want to make a soap to celebrate this special day. 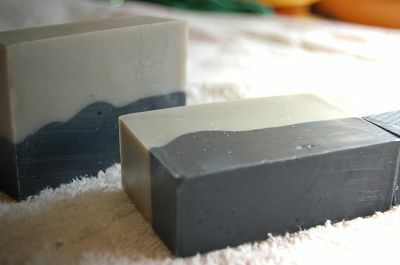 Use red palm oil in pipe to make the moon soap first. After that use Bincho Carbon powder to make the night sky and add some stars. 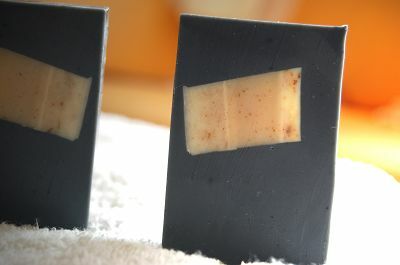 The winter is coming, so I added hazelnut oil and shea butter to care the skin in dry season. 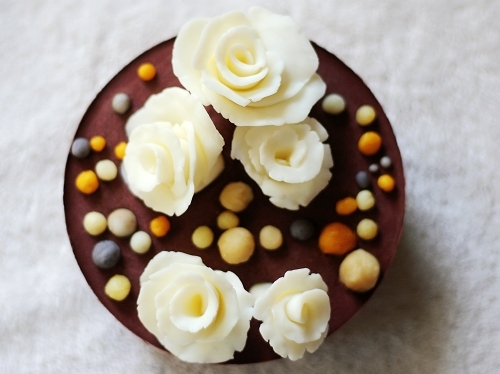 To have a flower bed to plant the white roses that I made from soap long time ago. 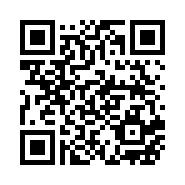 This does not consider as a sucessful project. I was too rush so the three-layer flower bed is not so perfect. I planned the top layer to be beautiful pink to red color, but ended up a very dark red one.